Eliminating diapers: Will it help your baby in the long-run? 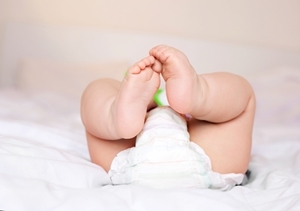 Home » Dad » Eliminating diapers: Will it help your baby in the long-run? When it comes to establishing your unique fatherhood style, there are plenty of parenting trends that can influence how you approach handling your son or daughter. One of the most innovative – and genuinely unique – methods for parenting kids through their diaper and potty training years is referred to as elimination communication. What does this mean, exactly? In short, it means ditching the diapers and letting your baby do his or her business right in the open. It doesn't matter what your father and son or father and daughter relationship is like – the fact of the matter is, cleaning up after a baby can be a lot of work at times. The appeal of getting rid of diapers – and with it, cutting back on the overall cost they carry – can seem all too attractive to some fathers, just on the idea alone. However, going diaper-free speaks to dads on a whole other level, because disposable diapers can be harmful to the environment over time. Some parents believe they also contribute to rashes and can improve the health of babies, while others are interested in going diaper-free because they like the idea of enjoying greater intimacy with little ones. So whether you're just curious about this up-and-coming trend or you're planning to embrace the idea of raising a baby without a diaper, consider learning more today!